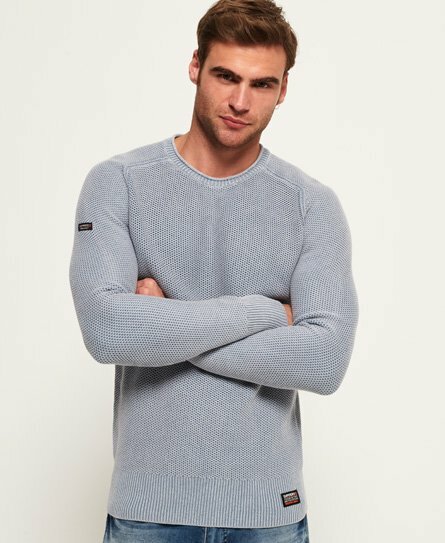 Superdry men’s Garment dye L.A textured crew jumper. This simple yet stylish crew neck jumper is perfect for this season’s wardrobe. It has been treated with specialist dying techniques to give it a distressed finished. The Garment dye L.A textured crew jumper is finished with ribbed cuffs, a ribbed hem and Superdry logo patches on the sleeve and the hem.